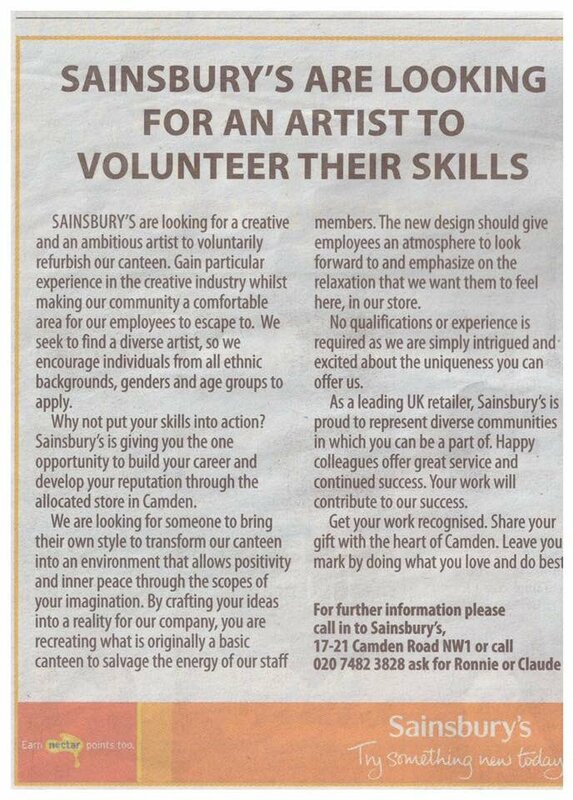 Sainsbury's has apologised after one its stores advertised for an artist to decorate the staff canteen for free. 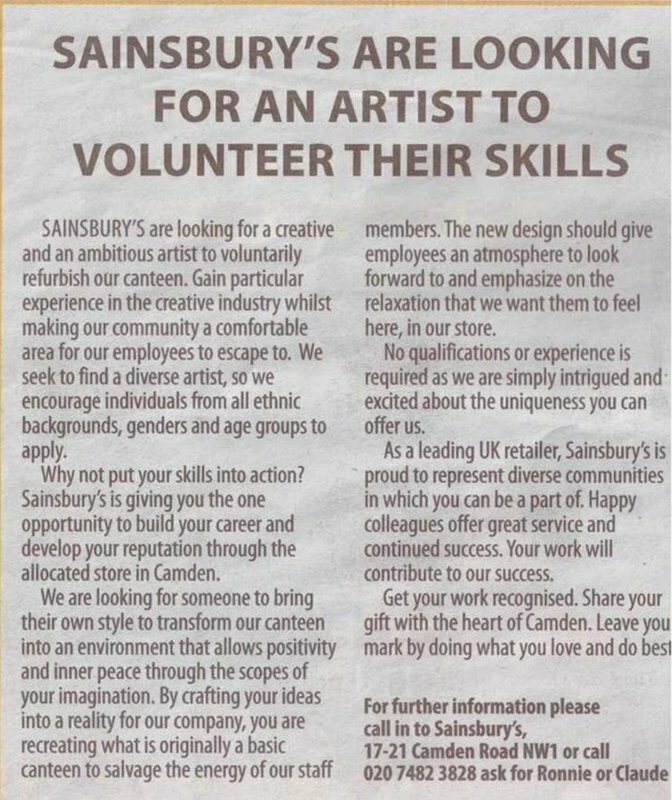 The supermarket giant said the volunteer would gain experience in the creative industry, while making "a comfortable area" for its employees at the store in Camden Road, north London, "to escape to". But the company faced a backlash on social media. Artist Conor Collins posted a letter to the supermarket chain on Twitter. He wrote: "I am looking for a company worth £150,000,000 to feed all of my artist friends in Manchester." In the post, he suggested the company "take some of the millions you fork out to your CEOs and pay for someone to do work for you so that the concept of 'starving artist' wouldn't have to be a thing". Paul Johnson Rogers, a British composer, tweeted that the store was "disgusting" and "should be ashamed". A Sainsbury's spokeswoman apologised for the store's "error of judgment" and said it was in talks with the store. We're discussing this with our store in Camden. The advert was placed in the local paper following a colleague discussion around ways to improve the canteen and offer an opportunity to the local community. It is not our policy to hire volunteers and we are sorry for this error of judgment.